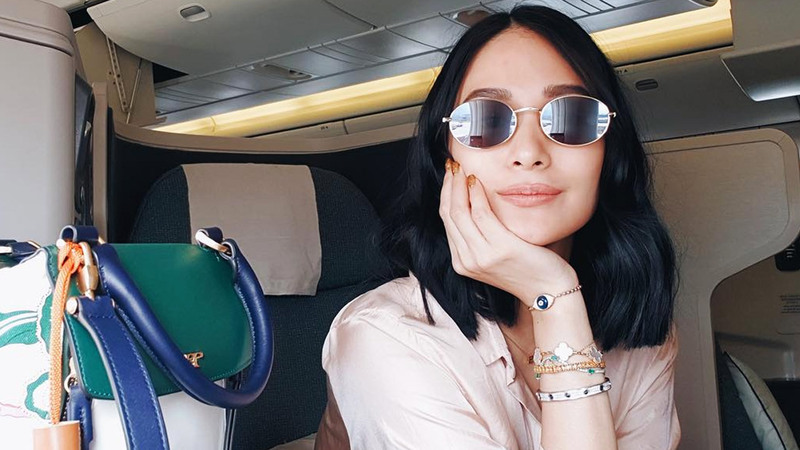 Heart Evangelista just posted that she'll be attending New York Fashion Week this year! Who's excited to see all of Heart's stunning #OOTDs? Before you start thinking that Saab Magalona and Jim Bacarro were already together here, think again! The pair were barely even friends! On her Instagram post, Saab explains, "Exactly 10 years ago when Jim and I were barely friends. We had mutual friends but he and I never really talked so obviously we were drunk when this photo was taken. I didn't have any real interaction with Jim until three years later when he got dumped and he asked me for advice. Labo kasi 'di naman kami close at all. Kailangan daw niya ng 'girl’s perspective.'" This photo of Angelica Panganiban and Carlo Aquino in love in the early '00s is giving us major feels. Captioned "Year 2004," this was taken when they were still a couple. The two are set to star in Exes Baggage, premiering on September 26. 5. The Manila International Book Fair is back! The fair will run from September 12 to 16, 2018 at the SMX Convention Center, Mall of Asia, Pasay City. Expect book discounts and appearances from your favorite local authors!